Work injuries can take many forms. While machine accidents or falls may commonly spring to mind, a wide range of accidents and injuries is covered under the Ohio workers’ compensation system. According to the Bureau of Workers’ Compensation (BWC), any illness or injury that is “sustained in the course of and arising out of employment” can be covered by the program. This includes injuries sustained in car accidents—the leading cause of work-related deaths and injuries in the U.S. One study from the National Institute for Occupational Safety and Health (NIOSH) states that 22,000 workers were killed in work-related auto accidents from 2003 to 2014. Annually, employers pay $25 billion for costs associated with car crashes, and the toll on workers and their families is significant. It is important for every employee to note that NIOSH warns that “all workers are at risk of crashes, whether they drive light or heavy vehicles, or whether driving is a primary or incidental job duty.” This means that even those who only travel occasionally or over short distances still need to understand both the risks and their rights to compensation. What Kind of Driving Is Considered Work-Related in Ohio? Medical treatments after an accident can be as varied as the injuries themselves. While some car crash victims are treated and promptly released, others face hospital stays, surgery, rehabilitation, and more. Regardless of the severity of your injuries, seek medical care soon after an accident. Even if you do not think your injuries are serious, only an appropriate medical provider can assess your condition. While some accidents are simply unavoidable, often a simple amount of care can prevent serious crashes. Many employers offer workers safe driving information and mandate safety courses before taking to the road on official business. An Occupation Safety and Health Administration (OSHA) report noted that Nationwide Insurance, based right here in Columbus, operates its own fleet of vehicles. When the company developed and implemented a vehicle safety program, it saw a 53 percent decrease in car accidents among employees. Don’t rush. While the saying may advise that time is money, trying to make up time on the road can lead to accidents. Aggressive driving, speeding, and failing to obey traffic signs are common causes of serious crashes. Get enough rest. Fatigued driving is dangerous driving. Plan your work trips as much as possible to allow yourself time to rest. Take time to become familiar with your vehicle. Often, employees use work vehicles for work errands and travel. If it is a vehicle you don't often drive, familiarize yourself with the functions before you get on the road. Later, you will not be distracted looking for something or operate the vehicle incorrectly. Work-related auto accidents, like any other work illness or injury, can be compensated through workers’ compensation regardless of fault. 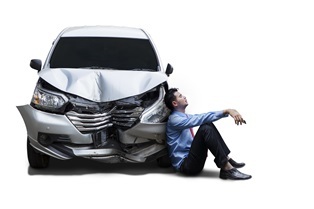 With few exceptions, it is possible to obtain benefits even if you were responsible for the accident. If you or someone you love has suffered injuries in a car crash while working, take advantage of the free book The Worker’s Guide to Injury Compensation in Ohio by the legal team at Monast Law Office. Read this helpful guide to have your questions answered and learn more about pursuing a workers’ compensation claim in Ohio.